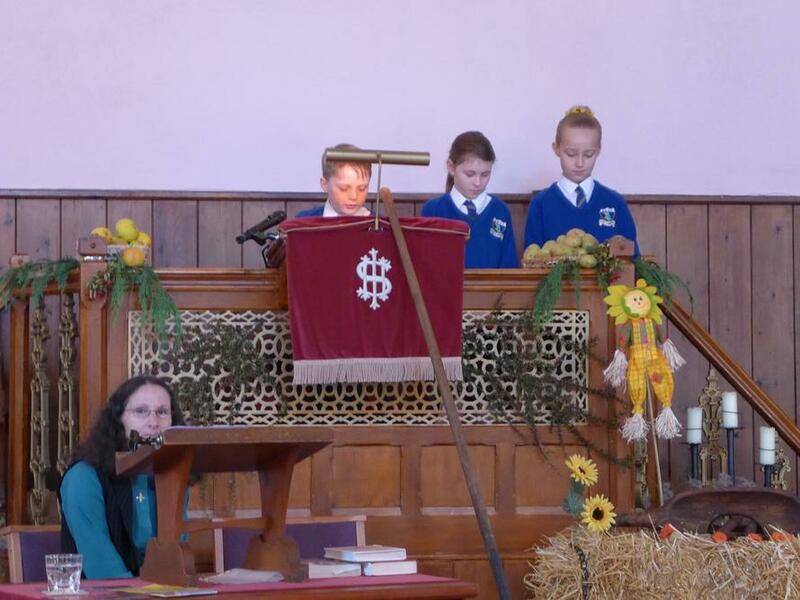 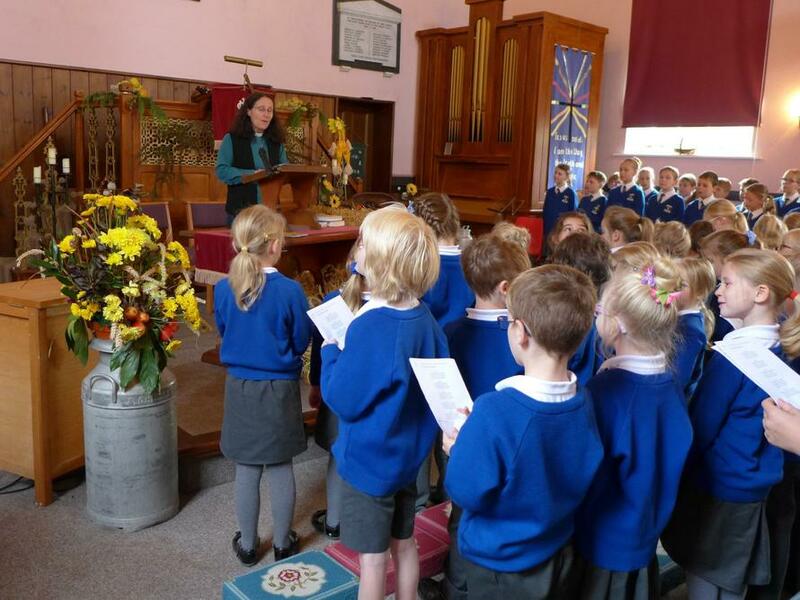 Today the children and parents were warmly welcomed into the Baptist Church by Rev Sue Johnson who led our harvest service. 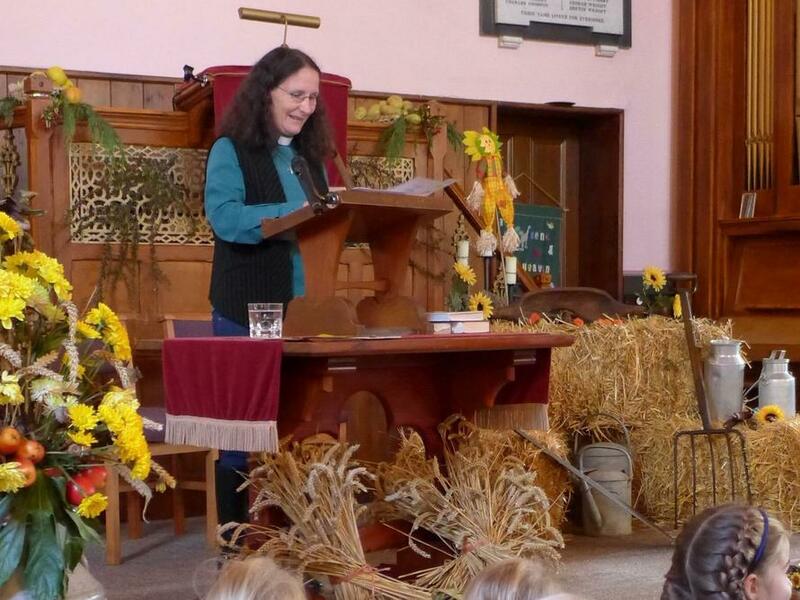 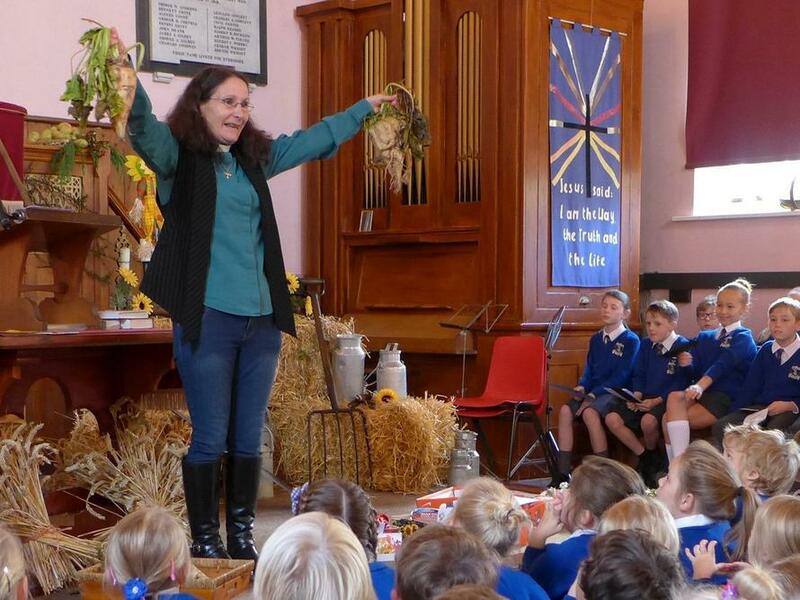 Rev Johnson was as engaging as ever and successfully brought the subject of harvest to life for the children. 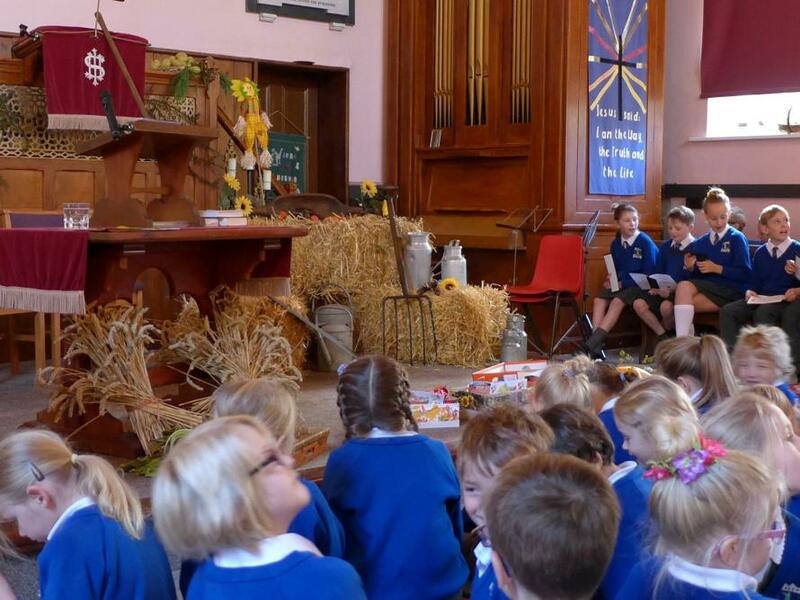 They listened to readings from the gospel of Matthew about the feeding of the five thousand as well as hearing the more contemporary story about the big red tractor. 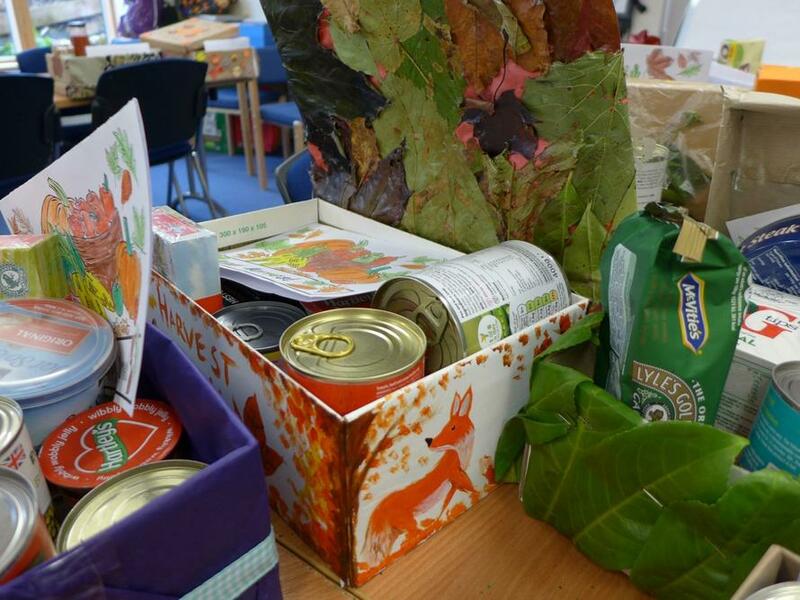 The service was concluded with the blessing of our harvest boxes. 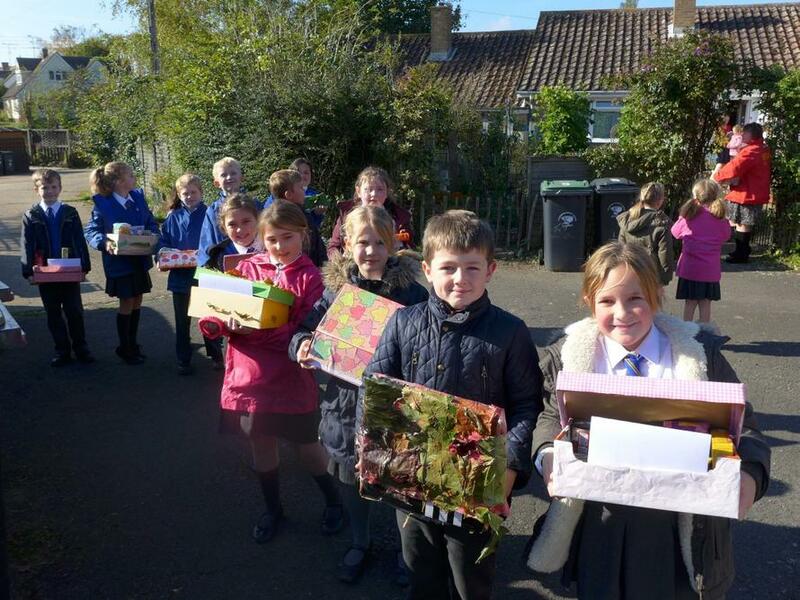 Thanks to the generous support of our parent body we have managed to deliver thirty two boxes of produce to the more elderly on the village.